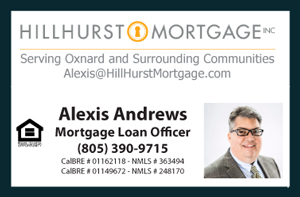 Browse through the most recent list of Upscale Homes for Sale in Oxnard as of July 14, 2014. The properties listed here include Upscale Single Family Homes, Houses, Condos, Townhouses,Mobile Homes and Real Estate Listings for Sale in the Southern California city of Oxnard in the price bracket of $400,000 and $750,000. The city of Oxnard has much to offer. This clean and family oriented city offers great coastal living with fantastic year round weather. You may access the Channel Islands National Park off the cost of Oxnard and explore the magnificent Islands in the park through snorkeling, fishing, hiking and much more. Oxnard is located along the beautiful coast of Southern California, over 60 miles west of Downtown Los Angeles - the most direct route is along the 101 Freeway. Oxnard is part of Ventura County 15 minutes south of the city of Ventura. There is much fun under the sun in Oxnard for the whole family to enjoy.